Freshwater turtles face many threats, including habitat loss and river regulation reducing occupancy and contributing to population decline. 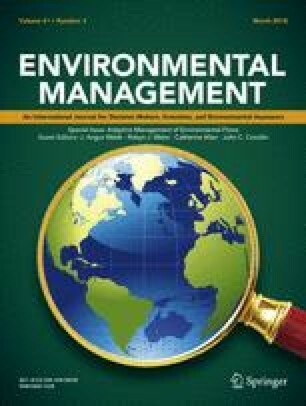 Limited knowledge of hydrological conditions required to maintain viable turtle populations in large floodplain wetlands hinders effective adaptive management of environmental water in regulated rivers. We surveyed three turtle species over 4 years across the Lower Murrumbidgee River floodplain, a large wetland complex with a long history of water resource development. Using site and floodplain metrics and generalized linear models, within a Bayesian Model Averaging framework, we quantified the main drivers affecting turtle abundance. We also used a hierarchical modeling approach, requiring large sample sizes, quantifying possible environmental effects while accounting for detection probabilities of the eastern long-necked turtle (Chelodina longicollis). The three species varied in their responses to hydrological conditions and connectivity to the main river channel. Broad-shelled turtles (Chelodina expansa) and Macquarie River turtles (Emydura macquarii macquarii) had restricted distributions, centered on frequently inundated wetlands close to the river, whereas the eastern long-necked turtles were more widely distributed, indicating an ability to exploit variable habitats. We conclude that turtle communities would benefit from long-term management strategies that maintain a spatiotemporal mosaic of hydrological conditions. More specifically, we identified characteristics of refuge habitats and stress the importance of maintaining their integrity during dry periods. Neighboring habitats can be targeted during increased water availability years to enhance feeding and dispersal opportunities for freshwater turtles. The online version of this article (doi: 10.1007/s00267-017-0837-0) contains supplementary material, which is available to authorized users. Funding for the wetland surveys was provided by the NSW Government and Australian Government’s Water for the Future—Water Smart Australia Program through the Rivers Environmental Restoration Program (RERP) (2008–2010), NSW Catchment Action Program (2010–2011), and Commonwealth Environmental Water Holder Short-term Intervention Monitoring Program (2013–2014). We thank numerous field assistants, including Richard Allman and Erin Lenon, Simon Hunter for distance calculations, and James Maguire for commenting on water management in the Murrumbidgee. The authors of this paper respectfully acknowledge the traditional owners, their Elders past and present, their Nations of the Murray–Darling Basin, and their cultural, social, environmental, spiritual, and economic connection to their lands and waters. In particular the Wiradjuri, Narri Narri, and Muthi Muthi peoples, traditional owners of the land on which this publication is focused. The 2008–2011 field surveys were approved under NSW National Parks and Wildlife Service Scientific Licence S13080 and S12700, NSW Fisheries license F89/1598, and NSW Animal Ethics Committee approval ACEC 06/08. The 2013–2014 field surveys were approved under NSW National Parks and Wildlife Service Scientific Licence 100441, NSW Fisheries license P11/0043-11, and Charles Sturt University Animal Care and Ethics Committee 13/059. Bino G, Kingsford RT, Porter J (2015) Prioritizing wetlands for waterbirds in a boom and bust system: waterbird refugia and breeding in the Murray–Darling Basin. PLoS ONE 10 10.1371/journal.pone.0132682. Guillera-Arroita G, Lahoz-Monfort JJ, MacKenzie DI, Wintle BA, McCarthy MA (2014) Ignoring imperfect detection in biological surveys is dangerous: a response to “fitting and interpreting occupancy models”. PLoS ONE 9. doi: 10.1371/journal.pone.0099571.